This is James Price Point, a remote and rugged finger of land on the Western Australia coast, about 50km north of the pearling town of Broome, on the Dampier Peninsula. For nearly a decade, this stunning landscape was the proposed site for the world’s largest gas processing plant. James Price Point was a name I’d been familiar with for all those years, as it was frequently in the news as protest groups fought to keep its singular beauty from being destroyed by industrial development. But until last year, I’d never seen it. I had, however, seen other parts of Western Australia’s Kimberley region and had an inkling of what was being fought for. So much of Australia’s environment is unique and under threat, and like many other people in this country, I was alarmed at the prospect of any part of the Kimberley being taken for industrial development. So I was interested to see for myself this landscape that was the subject of such controversy and political debate, while on a day trip from Broome with tour company InStyle Adventures. Some remnants of the protest still remained on the red rocks along the shore. With support from the Western Australia state government, Woodside Petroleum and its joint venture partners, Shell, Petrochina, MIMI and BP had planned to turn the sleepy tourist town of Broome into an oil and gas town and to build refineries on the coast at James Price Point. The people of Broome had other ideas. And the government and the gas companies initially had no idea of the concerted campaign that they were about to face, by Australians determined to protect this unique environment. Called Walmadany by the indigenous people of the area, James Price Point is believed to be named for a former Minister for Works in Western Australia, who toured the region in 1909 and died in 1910. There were many reasons for strong opposition to the development of gas fields here. Aboriginal people believe that dinosaur footprints preserved in the rocks along the coastline are the footprints of their traditional Dreamtime ancestor, Emu-man. Scientists also point to the environmental damage that may be caused by any industrial development to migrating whales and nesting turtles along the coast. In April 2013, Woodside Petroleum and its joint venture partners announced that they would not be building gas refineries at James Price Point because it was not economically feasible. 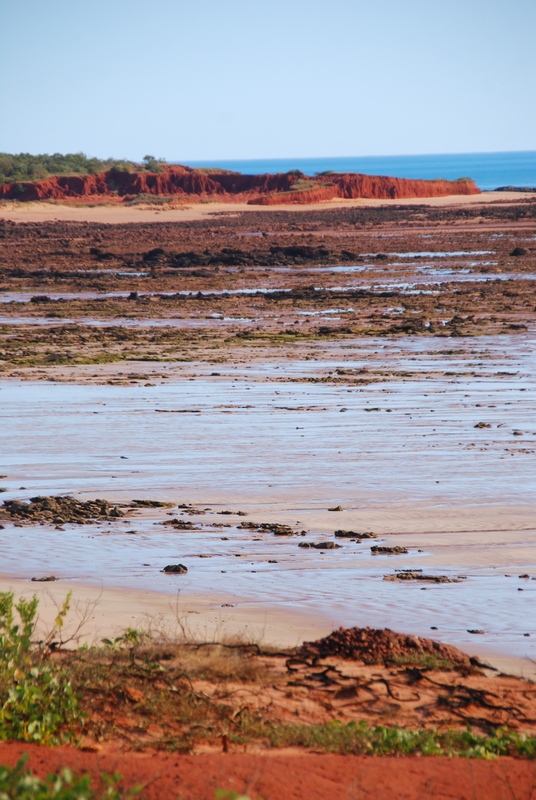 However, a few months later, the Western Australia government compulsorily acquired James Price Point, hoping that the land could still at some time become a processing hub for other gas fields in the Kimberley region. 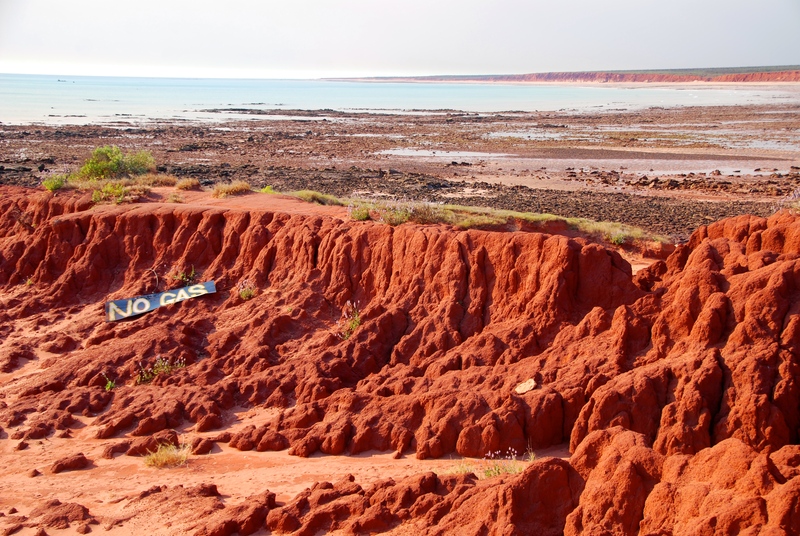 The campaign to save the Kimberley was driven by the people of Broome (but of course, not all agreed), with strong national and international support. After a visit there, it’s easy to see why they fought for it. The battle is won, but the war is not…development along the coastline is not yet out of the question. But these images give you some idea of why the environment of this unspoilt part of Australia is so special. It was an easy choice for me in writing for this week’s travel theme, Environment, from Ailsa at Where’s My Backpack. I’ll have more from my Broome trip in coming blog posts. What a gorgeous area! Let’s hope those conservation efforts are successful! Thanks for sharing! I hope so too. The WA government is pro-development for this area, so it’s hard to know what the future will bring. The more people who see and appreciate its beauty the better. Then they know what’s being fought for. What an amazing environment! The color is astonishing. Thank you for sharing the history and battle to protect it. Extraordinary, isn’t it? The colours are so rich and vivid. 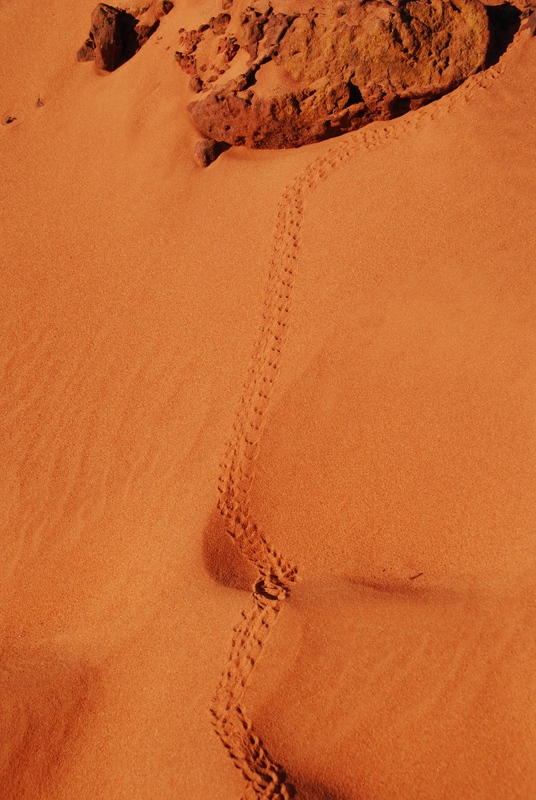 And it might look barren but there are lots of little critters living there…as you can see from the tracks in the sand. Wow. Talk about red dust and wanderlust. I think “Wow!” was probably what I said when I saw it, Goddess. The Kimberley is one of the most wonderful places I’ve ever been to. And I’ve only seen a fraction of it. Go there if you ever get the chance. It’s beautiful! I can definitely see why the people have fought to protect it. I wonder how long that will last? It’s hard to know. People power can only do so much if the government is determined to force development. But the signs are good so far, and the fight is not over. G’day Lee, good to see you back up in the Kimberley…you can understand what the attraction is! ….and now to stop the fracking! Hey Mike – great to hear from you. 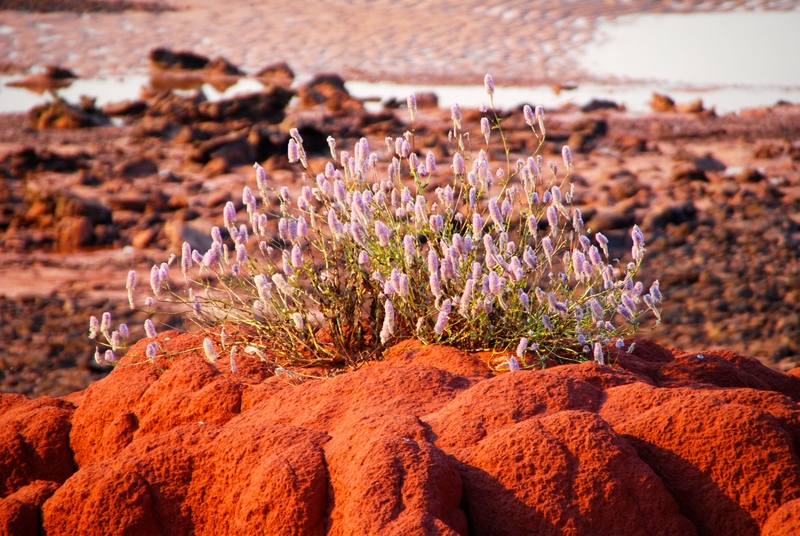 I was in the Kimberley last year – spent a week in Broome, and saw some parts I’d not been to before. And yes, I agree: stop the fracking! People power is winning small battles…but we need to win the war too. Gosh, such incredible colour! Looks like the red rocks of Arizona and Utah. So glad this area has been saved – for now. We have to think of alternatives to gas and oil for our energy requirements. Absolutely, we do! One of the problems with saving such remote places is that relatively few people get to see them – so they don’t really appreciate what is being lost. Wonderful story. I see red, I see red, I see red. Love red soil. Love it so much I could eat it. 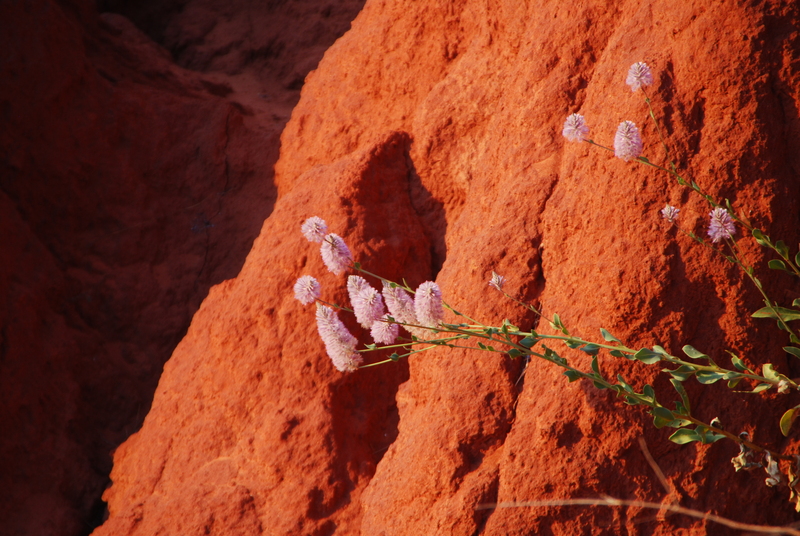 I love red soil too…it’s the colour of Australia for me. Can’t wait for the next chance to see some more. Red soil in the sunset, A Glass Half Full. Interesting piece. 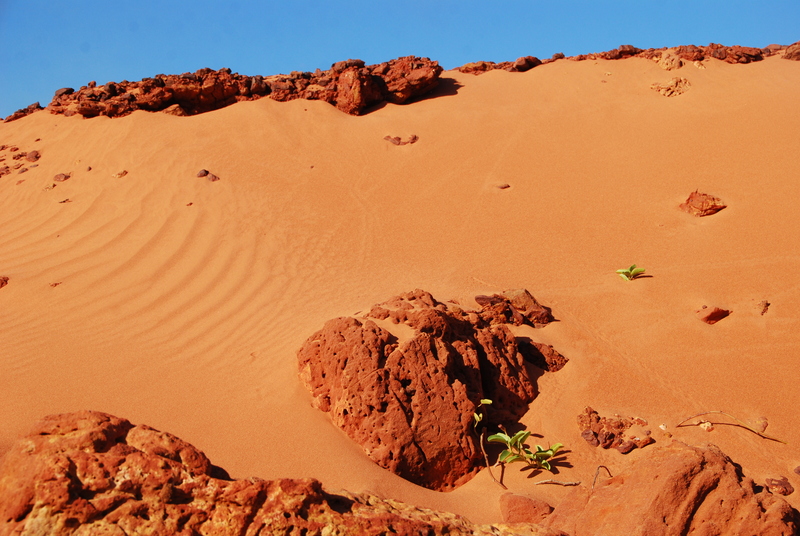 The sand is as red as the dunes in Sossusvlei in Namibia which are breathtakingly beautiful. Well done to the people of Broome for taking on the Goliaths. It’s great to see people power having some effect on saving our wild and remote places. I think governments sometimes under-estimate how strongly people feel about saving naturally beautiful and significant places from development.